Most vending machines are roughly the same size of a refrigerator and mostly dispense drinks or some snacks. But this vending machine in Singapore dispenses luxury cars. In 2016, Autobahn Motors revealed their giant vending machine to the world and most people are left in awe. 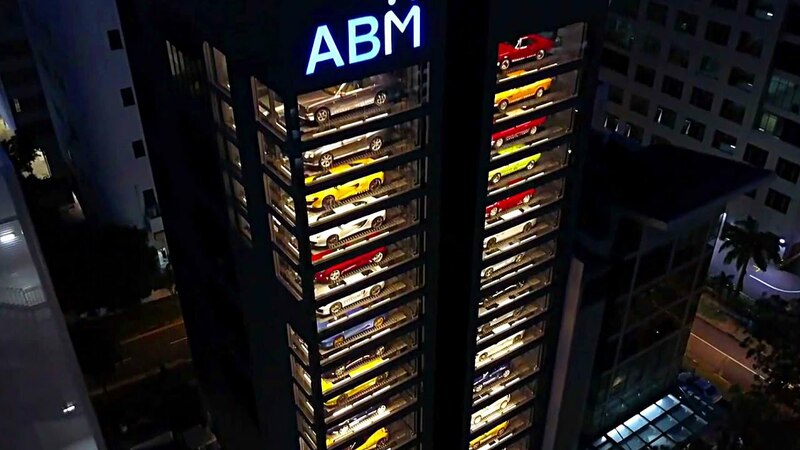 Autobahn Motors are famous for selling vintage cars and used luxury cars before they unveiled their 15 storey vending machine. Buyers can freely choose between used/vintage/brand new cars in a cool fashion. The unique design skyrocketed Autobahn's sales since December. They gained 30% more vehicle sales since the installment of the machine. Engineer Gary Hong observed that most people stopped in front of the 15 storey building to window shop for cars that they can't afford yet. The marketing strategy of selling luxury cars seems effective because it boosted their revenue. And more and more people are striving hard to buy luxury cars.